There is “no way human intervention can put out the fires,” Wan Junaidi Tuanku Jaafar, Malaysia’s Minister of Natural Resources and Environment, to the Australian Broadcasting Company on the issue of Indonesian wildfires in a recent Weather Channel Report. Outbreaks of Equatorial wildfires. It’s something that can happen during strong El Ninos. These periods of warming in the Equatorial Pacific can set off a chain of events leading to dangerous heatwaves, droughts and wildfires breaking out all over the Earth’s mid-section. But put a strong El Nino into the context of the overall human-forced warming of the global environment by 1 C hotter than 1880s values and you start to get into some serious trouble. The added heat amplifies the warming already being set off by El Nino conditions, it worsens droughts, and it provides an environment for some ridiculously intense wildfire outbreaks. Outbreaks of a strength and ferocity we would not have seen had we not forced the world to warm by so much. 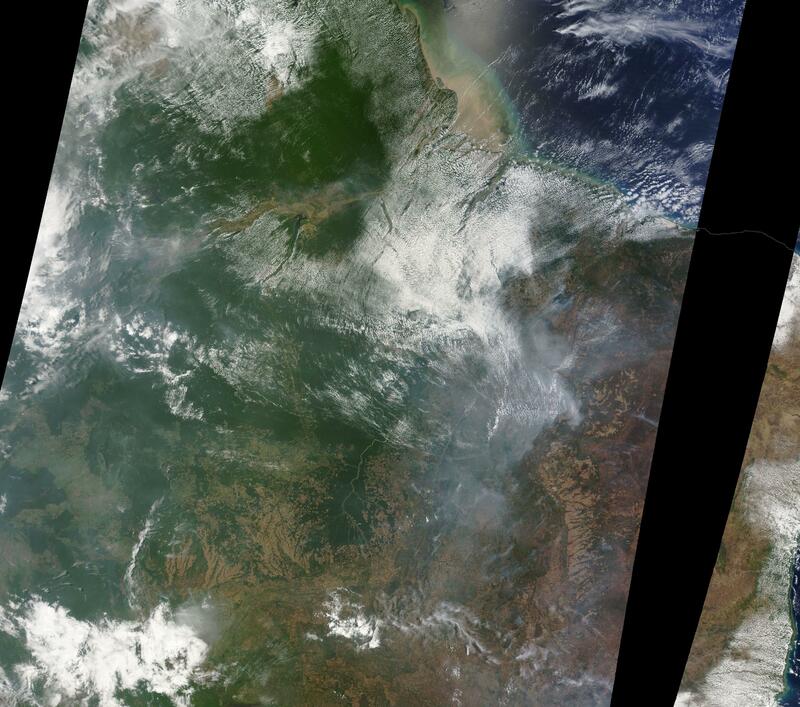 Over the past month, very intense and widespread wildfires have been breaking out in two heavily forested Equatorial regions — the Amazon and Indonesia. You can see the point source CO2 emissions for these fires in the CAMS graphic above. And what we see is that current emissions from these wildfires now exceeds that of the massive industrial Northern Hemisphere sources. In essence, the vast carbon stores contained in the forested regions of the Amazon and Indonesia are burning and releasing into the atmosphere. This burning is due, in substantial part, to the added heat human fossil fuel based industry has forced into the global climate system. Thus, these extraordinary fires are the very definition of an amplifying feedback. And they will likely result in net global carbon emissions from all sources hitting a pretty extreme spike for 2015. In 1997 Indonesian drought and forest fires increased global CO2 emissions by 13-40 percent. In 2010 Amazon drought and forest fires increased global antropogenic CO2 emissions (energy and land use!) by an estimated 25 percent. Given these ominous precedents, and given the extent of Equatorial wildfires in rainforest regions this year, we may see increases in global emissions hit or even exceed the ranges mentioned above. Last year, during one of Brazil’s worst droughts on record, more than 7,000 wildfires raged over Brazil’s forested regions. The rate of burning was so great that many scientists and environmentalists wondered if human warming was already starting to take down the massive and majestic rainforest — an impact that was not considered likely until the earth warmed up by another 1-3 degrees C on top of the heat forcing we’ve already provided. But though the Amazon was left smoldering after a terrible drought and wildfire outbreak last year, the damage continued to increase through 2015. By early October, and with nearly 3 months of 2015 still remaining, more than 11,000 wildfires were reported to have burned in Brazil and the Amazon — a 47 percent increase in the number of wildfires from the severe burning of 2014. A stark statistic that will only grow worse as El Nino continues to spike global and Equatorial temperatures into new record ranges. A wretched example of how human-forced climate change can really turn El Nino into a monstrous weather phenomena. As with the ongoing water shortage disaster in Sao Paulo, mainstream media accounts of this massive wildfire outbreak in Brazil have been sparse. However, given the fact that we have a near 50 percent increase in the rate of burning from last year’s terrible base-line, we can only imagine that conditions on the ground in Brazil and in the Amazon are rather dire. There, fires are so intense that smoke from them has forced the cancellation of flights, school children have been asked to stay home to avoid hazardous air, and the country is calling in firefighting forces from all over the globe. Malaysia, Singapore, and even Russia have contributed firefighting aircraft to the cause. But as of now, there appears little that can be done to help an out of control fire situation that has left a vast region sweltering under a hot, dense cloud of smoke. An annual outbreak of wildfires has now become commonplace in Indonesia where corporations illegally burn to clear away forested land for Palm Oil and other crops. This year, record heat and dryness set off by a powerful El Nino acting in combination with human-forced climate change has added yet more danger to the dubious and harmful activity. Not only are fires now so widespread and intense that they burn completely out of control, but the pall of smoke cast by the fires generates its own fire hazard — helping to prevent rain cloud formation. In total, more than 3,500 hot spots are now visible in the satellite image. In Borneo and Sumatra, more than 4.2 million acres or about 6,500 square miles have burned so far. The situation is so dire that officials and residents alike are forced to pin their hopes on the seasonal emergence of rains by mid-November. Hopes that may be dashed as a strong El Nino combines with already intense human warming to force ever more extreme conditions. This is What Carbon Climate Feedbacks Look Like!! – Good synopsis on very alarming situation, Robert. ‘Incendiary conditions’ would still be an understatement for this region. 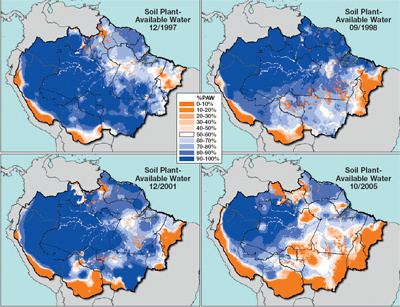 Propaganda Alert: re Sao Paulo Brazil’s water, CC/drought, slash and burn of rainforest crises. None other than Koch Industries/Koch.com — a prime fossil fuel/nitrogen supplier, is offering a solution. What could they have on their devious minds? Typo: (Andy in San Diego). – From Dr. Jeff Master’s “September 2015: Earth’s Warmest Month in Recorded History, Says NOAA”. Disaster 2. As discussed in detail in the Jeff Masters October 13 post, “Costliest (and Deadliest?) Disaster of 2015: Indonesia’s $14 Billion Fires”, the El Niño event of 2015 has brought devastating drought and fires to Indonesia and neighboring countries. This year’s fires in Indonesia are on track be their most expensive disaster in history, beating the $9.3 billion price tag of the 1997 – 1998 fires. In this photo, we see buildings blanketed with thick smog in Singapore on September 24, 2015. Singapore’s air quality reached ‘very unhealthy’ levels on September 24, forcing schools to close, as thick smog from agricultural fires in Indonesia’s neighboring Sumatra Island choked the city-state. Image credit: ROSLAN RAHMAN/AFP/Getty Images. 2015 isn’t over yet. In dollar terms, this could well exceed 1997 by double. Even if the rains aren’t delayed, we’ve three weeks left to burn and the situation, as clearly visible in the satellite shot, is terrible. And the forests have traditionally been touted as vast carbon sinks that “process our excess carbon for free”. Well, when some of your largest carbon sinks become net emitters of carbon…let’s just say hell’s coming to breakfast little lady. It’s sickening what humans do. We know of no other planet in the entire universe that is thriving with complex life and packed with a bio-diverse web of life that took tens of millions of years to evolve, not even simple bacteria on a moon somewhere. Yet we are trashing this planet as if it’s our mission to scrape it bare until it’s nothing but poisoned rock, and move on to the next place. 7+ billion of us, and nobody (almost nobody) can figure out there is no next planet to move on to! – Off topic but tree and forest related — plus I said I would put this up. – A 10/20 LA Times article, “X-ray technology reveals California’s forests are in for a radical transformation” (posted here by CB) examined extremely stressed trees and forests in S. California’s Los Padres National Forest located N N/E of Santa Barbara. ‘Drought’ — we really must qualify this term in this age of AGW, is the focus. I could find no mention of possible air pollution affecting tree health even though Mt. Pinos (Pine Mountain) is referenced. Mt. Pinos sits on the SW edge of FF/ozone/NOx/Pm aerosol polluted Central Valley. On the following gif link Mt. Pinos is located above the l in ‘ Los Angeles’, and near the bottom of orange/red Pm 2.5 and O3 health warning colorations. Put the following ‘X-ray’ study in this 061114 AirNow air pollution/health (easy to link to) framework for a more complete picture. This entire situation is a microcosm of climate change in general. Some of these fires in Indonesia were started intentionally, thinking they could be managed and controlled. Now the situation is extremely critical and spiraling completely out of control. Whether it’s Arctic sea ice melt, glacier meltdown, rain-forests dying up and burning, everything is happening much faster and sooner than anyone expected even a few years ago. The scale and pace of changes currently occurring is terrifying. The scale and pace of change is explonential. 52 F in the Y-K Delta day before yesterday. That is insane, coming from someone who lived in the NWT and can confirm….52F in YK is so far out of the norm it is unreal. A very important message from Ralph Keeling in regards to our last chance to inhale below 400ppm. Been scarce for a bit as we’re buying a house and going through that invasive procedure. Congrats and well wishes on the new home, Andy! Thanks for bringing the ongoing environmental and public health disaster from Indonesian forest fires to the attention of your international readers. I have been following your posts for a few years and have learnt so much about climate science, both from you as well as the excellent comments that follow each post. As someone living in Singapore who has also worked in the Singapore government looking at the haze issue, I can say that the haze this year has been the worst ever, both in terms of the duration (2 months and counting) as well as the regular spikes in the Pollutant Standards Index (PSI) into “Very Unhealthy” and even “Hazardous” levels. But bad as it is in Singapore, it cannot compare with the hell that people in Sumatra and Kalimantan are going through. The worst hit is Central Kalimantan where the PM10 concentration readings regularly go above 2000 mcg per m3. Just to give some perspective, anything above a PM10 concentration of 420 mcg per m3 is considered hazardous air quality. In Palangkaraya (capital city of Central Kalimantan province), the sky has turned yellow and visibility has gone as low as 20 metres. Imagine living through the worst sandstorm ever, but one that has lasted for 2 months. Few people there can afford air conditioning and air purifiers to guard themselves from the smoke haze. Even fewer have access to N95 face masks. The Indonesian government is incapable of putting out the fires, much of which is on peatland where conventional hosing and water bombing by aircraft is insufficient. The ground itself is literally burning. We badly need heavy rains, but El Nino is delaying the onset of the rainy season. Already it has been calculated by the World Resources Institute that the daily GHG emissions from Indonesian forest fires are exceeding the daily emissions by all economic activity in the United States. Think about what that means ! With one disaster, all global efforts on decarbonisation have been significantly reversed. And this is not counting the effects of wildfires in California, Washington, Alaska, Canada, Siberia, Amazon etc. which your blog has so well catalogued. Thanks once again and keep up the great reporting. Thank you for the update and information, as a local. Robert has readers all over the world, and it’s fantastic when we have realtime observations from those who live in affected areas (everywhere). Thanks again for reporting conditions for us! Great on-the-ground reporting, thank you. Thank you for the fantastic eyewitness account. From the reports I’m seeing, it looks like the Indonesian burning is, so far, second worst on record. The Amazon burning looks like it’s also among the worst. Depending on when the rains come, both of these areas could shatter past records for wildfire extremity. We are certainly entering uncharted territory when it comes to global temperatures. Unfortunately, that also results in an increased risk that these extreme fire events will continue to worsen. The Amazon is heading towards grasslands. This graphical essay ends in 2005. Since that time, the situation has deteriorated markedly. Nearly 50 leaders of America’s defence and foreign policy establishment are calling on political and business leaders to “think past tomorrow” and lead the fight on climate change. In a full-page ad in the Wall Street Journal the experts – 48 former secretaries of state and defense, national security advisers, diplomats and members of Congress from both parties – say it is time for America to claim global leadership on climate change. More than high time for it. Thanks for that WSJ pointer, Susanne—I found this at the ending of the piece: and unfortunately, it may be the only? way to get R citizens on board to apply the pressure on their legislators need. The BOM (of Australia) has really pinpointed Indonesia’s bad news – Strong positive Indian Ocean Dipole plus near-record El-Nino (plus 1C baseline warming) creates a local zone of high pressure and divergent winds, suppressing convection and driving away moisture. The wet season will arrive, eventually, later this year, however it raises the possibility of these unquenchable wildfires becoming a feature of our new climate. Yet another source of evacuation, refugees and uninhabitable land in our warming world. link: http://www.bom.gov.au/climate/enso/#tabs=Sea-surface (note the cool anomalies in both Indian and Pacific conspiring against Indonesia. “When we started measurements it was -8C, but now it’s coming to almost -2.5 on the Arctic coast. It is unbelievable – that’s the temperature we should have here in central Alaska around Fairbanks but not there,” he told BBC News. In Alaska, the warming of the permafrost has been linked to trees toppling, roads buckling and the development of sinkholes. Prof Romanovsky says that the current evidence indicates that in parts of Alaska, around Prudhoe Bay on the North Slope, the permafrost will not just warm up but will thaw by about 2070-80. “It was assumed it would be stable for this century but it seems that’s not true any more,” he told BBC News. If I may , just because it is a disturbing report tying back to a comment in the previous article (have also posted in the context there. Conservationists, politicians and at least one prime minister are warning the quest for hydro power for booming urban centres in China and south-east Asia is threatening the food supply of more than 40 million people, including millions in the Mekong Delta, Vietnam’s food bowl. Kraisak Choonhavan, an environmental activist and former chairman of Thailand’s Senate foreign affairs committee, calls the building of the dams “a disaster of epic proportions” that threatens to shatter declarations of unity among member states of the Association of South-East Asian Nations (ASEAN). Vietnamese Prime Minister Nguyen Tan Dung warns that 27 per cent of his country’s GDP, 90 per cent of its rice exports and 60 per cent of its seafood exports are at risk, mainly because disrupted sediment flows could destroy the integrity of the Mekong Delta. Duong Van Ni, of Vietnam’s Can Tho University, who has studied environmental factors affecting the delta, says Chinese dams have already reduced the delta’s sediment by half and caused serious erosion, damage to soil fertility and mangrove forest depletion. But the river has become unpredictable in recent years, rising and falling suddenly and not according to the seasons, villagers and conservationists say. Sandbars now protrude at times when before they were never there and fish stocks have dropped dramatically in some areas, villagers say. The reason is that China has built six giant dams hundreds of kilometres upstream, conservationists say. Fourteen more are planned in China within the next decade as well as the 11 mainstream Mekong Basin dams in Laos and Cambodia. And a total of at least 140 hydro power dams are proposed for the entire Lower Mekong River mainstream and its tributaries. Hydro has some widespread negative impacts, surely. But if the choice is between hydro and coal or gas, I’d take hydro any day. One is a river killer — which is bad. But the others are world killers. Agence France-Presse produced an interesting report on the North West Passage as oil tankers and freight liners enjoy shortened voyages . . Please let’s never read a story about a massive oil spill in the unchat=rted once pristine icy waters of the Arctic. “Provost looked with amazement from the wheelhouse at the lack of any ice cover around the coast guard ship. “Anyone who still denies climate change is real has their head in the ground, they’re blind,” he said. In 37 years of Arctic exploration, he said he “never imagined ever seeing this,” pointing to satellite images showing a clear path through the Queen Maud Gulf and the M’Clintock Channel, where the Amundsen is headed. Based on population, Ontario would be the 5th largest state if it were part of the U.S., but its installed solar capacity, 1,500 MW would rank it 3rd. The province has also shut down all its coal-fired power plants. How does a northern province become a solar and climate leader, despite one of the poorest solar resources in North America? The reason why this works for Ontario is a combination FIT and local manufacturing. And the fact that electricity prices are going down in a region that’s considered solar-poor is a pretty clear indication of how powerful this particular renewable energy source has become. To this point I’d like to add that FIT and similar have resulted in very rapid solar adoption rates globally and are among the best policies out there to help in a rapid transition away from fossil fuels. I live in mid Ontario and live off grid (hence the name) and while it can get cold, 30 40 below c those are the days when solar works the best. I have seen my one array (663 watts) put out over 750 watts in those conditions,kinda like over clocking a computer the colder it gets the more efficient the panels become. Ontario has one of the lowest GHG emissions from electricity generation in the world which is predominantly supplied by nuclear and hydro (70% of total). Wind, solar and biofuel is 7%. See energy generation by type for today. Make that hydro, nuclear, wind, solar and biofuel for 77 percent and climbing. And, as with Australia and other places, new solar is helping to shut down those coal fired plants that exist already. Most notably, rates of growth for wind and solar are increasing (solar expected to grow by another 45 percent in 5 years) while fossil fuel generation capacity is shrinking. I think this is the trend we need to assert everywhere and rapidly. Also, I find most reports of increased electricity rates due to solar to be false or misleading. The initial report correctly noted that net energy costs in Ontario fell at the same time that solar adoption climbed. The meme, currently and falsely perpetrated by the Koch Brothers is that solar harms poor people. This is utter bunk. What harms poor people is utilities using their monopoly position to unilaterally hike rates as a means of punishing those who attempt to adopt alternative energy on their own. The chart showing yearly temperatures is stark. 1. Look at the wide margin by which we already exceed all the other record hot years. 2. Then take a look at the 1998 line. By January, the 1997-1998 El Niño had already passed peak. But global temps kept on increasing, rocketing higher for another few months. It’s an effect that’s most prevalent during strong El Ninos. So what we could see is a surge beyond the +0.9 C (vs 20th Century) line from end 2015 and into early 2016. This would briefly put us in the range of +1.1 to +1.3 C above 1880s averages. Which puts us just 0.2 to 0.4 C away from +1.5 C and 0.7 to 0.9 C away from +2 C. In other words, just one strong El Niño away from 1.5 C and just 2-3 strong El Ninos away from 2 C.
If that doesn’t keep you wake at night then, well, it should. Thanks Mark. Will see what I can brew up. When you put it that way, Robert, it really seems like we are knocking on the 2C door. I weep for future generations. We are trashing their home in an all out frenzy to binge and consume the last bits of resources that remain. The problem with this is that it assumes that people don’t migrate to more favorable environments. At issue is the fact that countries outside the more ideal temperature range while also increasingly poor will be increasingly unstable. In such a state the problem becomes not a national one, but a global one. Those in the more ideal temperature zones get hit earlier than expected as a result. Also, the report doesn’t take into account the more notable impacts of extreme weather and sea level rise which are basically ubiquitous throughout climate zones. A comprehensive piece on Exxon (and others) and what they knew, and did with that knowledge, regarding carbon pollution. What this piece concludes with is that it was part of a more comprehensive campaign to malign government in general to succeed. “This propaganda and the money that propelled it has polluted our entire political system. Look into almost any organization (or political party) promoting “limited government” and complaining about “burdensome government regulation” and you will find oil money. This is not ideology; this is corruption. This is giant corporations trying to keep the government from doing something about their dangerous, destructive products. Considering that this company’s actions are currently an existential danger to public health, I’m surprised that a large scale investigation hasn’t already been undertaken. The fact that it is obviously undermining the integrity of the American electoral, governing, and public health systems through its widespread corrupting influence even while actively undermining the integrity of public servants should be more than probable cause and reasonable suspicion to begin widespread actions against this corporation. Another question is, “Who else knew — and when did they know it? It is very likely that others besides Exxon knew. All the others in the oil chain should be subpoenaed. I wonder how much evidence is being shredded, and emails erased, at this very moment. What’s the chatter among the lawyers? You know they have to be sweating. Hell and high water. Keep an eye on Texas and adjacent states in the days ahead. El nino is roaring and they will see extensive flooding ending another short drought. Parts of Mexico too. Remnant tropical cyclone headed that way. To see the Arctic death spiral firsthand, and to see the Arctic before it melted, I took a 17-day “adventure cruise” and learned an inconvenient truth: We can’t make it stop. Remember “Jaws?” Don’t tell the truth or the tourists will stay home. 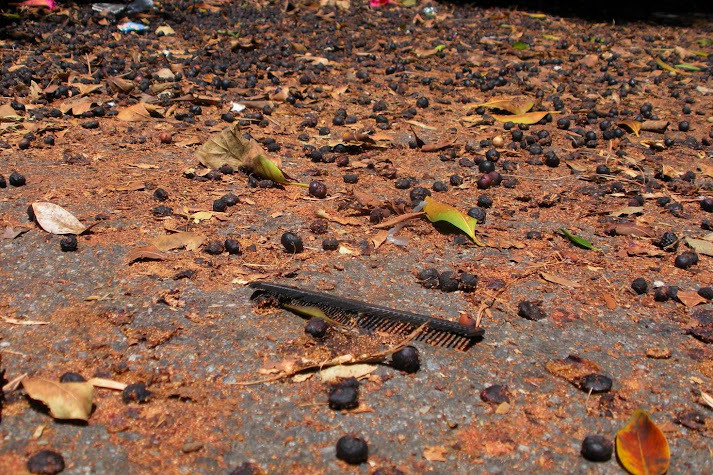 Unlike the great white shark, the great brown monster is a rotting, stinking beast wreaking global havoc: From South Florida to Mexico to Barbados, Trinidad, Tobago, the Dominican Republic, Texas, the Iberian Peninsula, the British Isles, Puerto Rico, Brazil, Morocco and Sierra Leone. No matter what the tourist boards claim, it’s happening. They can’t make it go away. And they for sure can’t hide it anymore. It’s spreading so frighteningly fast throughout the North Atlantic, the Caribbean and the Gulf of Mexico that it’s … well, unfathomable. This situation is just nuts. Yeah, so who’s feeding all this super growth of algae? FF and factory made N… sure helps. -Another Category 4 hurricane in Pac. Hurricane Patricia strengthened into an “extremely dangerous” Category 4 storm on Thursday as it churned toward Mexico’s Pacific coast, the U.S. National Hurricane Center said. The storm, which became a hurricane overnight, had maximum sustained winds of about 130 miles per hour (215 km per hour) as it moved toward the west-northwest at 17 mph (28 kph). Mexican emergency officials began to prepare shelters and warned people in the states of Colima, Jalisco and Michoacan to get ready for torrential rainfalls. When I read “Hurricane Patricia”…….” They’re up to the letter P…ouch. – Watch out for low temperature readings which are now regularly high (as in warm). PDX just had three dates where the low averaged out to twelve degrees F above the norm. This is something we don’t want. Today’s Traffic Weather Channel re USA weather did a quick semi-blurb on the worrisome high LOW temps in one region, “… very important but we’re running out of [TV-air] time.” Gad, their priorities are showing. At least a cursory mention was made. We will hear more instants of this, I’m sure. To wit, ‘… But it is the low temperatures and cooler season readings that may make it a record year, meteorologists said. – Keep in mind the asphalt & cement and carbon black hot boxes we call urban heat islands which stay warm only to heat up again in a AGW regime. – And the particulate and moisture laden atmosphere likely holding in the heat. One of the fingerprints of AGW as skeptical science has covered – don’t suppose anyone even hinted at that. – Not a pleasant topic but some Chinese seem to be taking atmospheric chemistry (and aerosol pollution) seriously. This is also everyone’s problem. – “So we do not know and cannot predict which harmful compounds are being formed.” This I’ve tried to enunciate for years — it is a ‘big deal’. Cleaning up city and indoor air will require a deeper understanding of the unprecedented chemical reactions between pollutants, says Markku Kulmala. … Many atmospheric processes are nonlinear — meaning that the relationship between cause and effect is not proportional. So we do not know and cannot predict which harmful compounds are being formed. The right side has dark traffic dust and the air currents — the left side gets radiant heat from the sun. 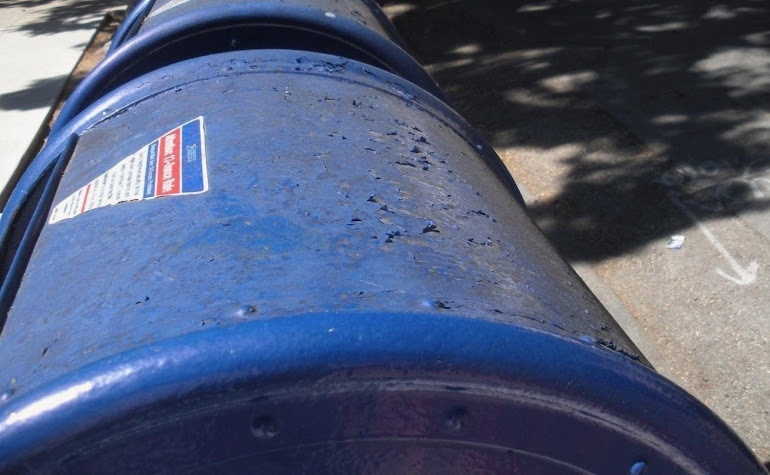 The top surface collects fallout, some sun, some moisture — and it blisters. Most in SB are just sooty but this one shows more. – The chemical contents of aerosol pollution raised hell with ficus (figs) and other flora. It has to also have a profound effect on human health. This is massive deadfall in 2012. They need a clean air act. Robert, In a way, they do. But, being from mobile sources (cars, trucks, ships,planes) only the US Congress can regulate the pollution. Of course, individual citizens could stop being sources. If the source was from a single stationary pipe/spigot or whatever then local and state agencies could swing into action and put s stop to it. Congress will act only if commerce is being impeded — no matter the number of human casualties. There is also much breakdown in most levels of civil government. Many are so accustomed to damage that they accept, or ignore, it. Corruption and downright criminality also play a part — more than anyone wants to know. It’s sad, It’s tragic. It’s the dark but profitable underbelly of FF use and misuse. Ummm. How about ALL atmospheric processes are nonlinear. Closer to true. We keep adding more and more contaminants to the atmosphere which amounts to a perpetual toxic or hazardous material spill. That scares me. This I found very interesting. I apologize if it has been covered elsewhere on the blog. If not, do you have any thoughts Robert?? Since El Nino tends to strengthen the Jet Stream, we can tend to have colder winters from Scandinavia to Siberia during El Nino years. 60 year cold cycle, however, is complete and utter bunk. The world is headed for +1 to +1.5 C over the next decade and the only thing that can take down Northern Hemisphere polar amplification and related Siberian warming and Arctic sea ice melt is a very rapid pace of melt from Greenland. We don’t see that yet. The Russian Academy should be ashamed. Note the Arctic at +2.12 C positive anomaly in the October 29 GFS forecast above. In this measure you can basically add +0.5 C to the global average to get departures from the 20th Century average. In some regions, like the Arctic and Siberia, you can add about 1.5 C or more. Patricia went to Cat 4; the record falls again. UPDATED 2:45 p.m. ET: Since this story was posted, yet another storm — Hurricane Patricia — in the eastern Pacific intensified to Category 4 status, making it 22 Category 4 and 5 storms that have formed so far this year. (CNN)Hurricane Patricia, churning toward southwestern Mexico, is a “potentially catastrophic hurricane,” forecasters said after the storm increased in strength to Category 5. “Satellite images indicate that maximum sustained winds have increased to near 160 mph (260 kph) with higher gusts,” the National Hurricane Center said Thursday night. Though it is expected to weaken Friday, it should make landfall on the Pacific coast near Punta San Telmo late in the day as an extremely dangerous storm. Patricia’s rate of strengthening since Wednesday has been truly remarkable. In a mere 36 hours, Patricia’s official NHC rating went from minimal tropical storm (40 mph) to Category 5 hurricane–among the most rapid intensification rates one might expect in a hurricane anywhere. Here’s an interesting(for me) take on COP21….it’s lengthy but I think worth exploring. I’m curious about what people here think. The author is also a an attorney who specializes in International Law and uses that knowledge/experience to form his framework for discussion. “”””Here I want to focus particularly on why it does not matter if Paris is unlikely to produce a legally binding treaty. In a world where such a treaty would require ratification by the US Congress such expectations are currently unrealistic. But more than that such a rigid legally binding agreement could well be counter-productive right now. It is not unrealistic to contemplate that events and technological developments could change the climate change dynamic quickly. When that happens we do not want to be locked into a legally binding arrangement which lacks the necessary ambition. Bottom-up would certainly increase the likelihood of success. In other words, treaties like these should focus primarily on net emissions reductions (INDCs) and on enforcement of emissions reduction policy through trade incentives (and disincentives to emit). How an individual country reduces emissions should be up to the country itself. But given this flexibility, we should keep in mind that we need to be careful in how we track emissions as well. H/t daily kos for the above pointer. – ‘ Climate Pollutants. There’s quite a bit of helpful info and solutions listed within this WHO press release. 22 October 2015 | GENEVA – A new WHO report highlights the urgent need to reduce emissions of black carbon, ozone and methane – as well as carbon dioxide – which all contribute to climate change. Black carbon, ozone and methane – frequently described as short-lived climate pollutants (SLCPs) – not only produce a strong global warming effect, they contribute significantly to the more than 7 million premature deaths annually linked to air pollution. Four interventions rated medium to high in all three categories. … Within hours of the rules’ official publication on Friday, a legal battle will begin, pitting the states against the federal government. It is widely expected to end up before the Supreme Court. DT: re: state law suits. Sheesh. When up is down and vice versa in politics…I think this is more about R governors pandering and barking, to bark, while wasting their tax payers money…..they know which way the wind is blowing(pun unintentional)…. What does a climate catastrophe look like in a real world context? Since September, daily emissions from Indonesia’s fires exceeded daily emissions from the entire U.S. economy on 26 days. To put it into perspective, the U.S. economy is 20 times larger than Indonesia’s. Van der Werf pointed out in a recent report that emissions from these fires over a three-week period are also already higher than the total annual CO2 emissions of Germany. New knowledge for me if not comforting. METOP is down. So we don’t have any idea how much methane they’re dumping out. We know the net carbon emission. But we can’t see the methane spike. The U.S. Drought Monitor released October 22 says the storm system last week did little to ease the long-term drought in California. The weekly report also pointed out that California reservoir storage is the “second lowest on record” for this time of year. The report also says the “extremely dry conditions” are having negative effects on topsoil and subsoil moisture, and rangeland and pasture conditions in California, Oregon and Washington, and the conditions are “hampering winter crop establishment” in Oregon and Washington. – This one is also for Maria. – Pair this study with the above ‘Atmospheric chemistry: China’s choking cocktail’ for a better picture of the insidious vagaries of FF aerosol pollution. Researchers have found carbon nanotubes lurking in the lungs of children in Paris, marking the first time the tiny tubes have been observed in humans. Researchers studying the lungs of young Parisian asthma patients have found evidence that man-made carbon nanotubes are becoming a common air pollutant. 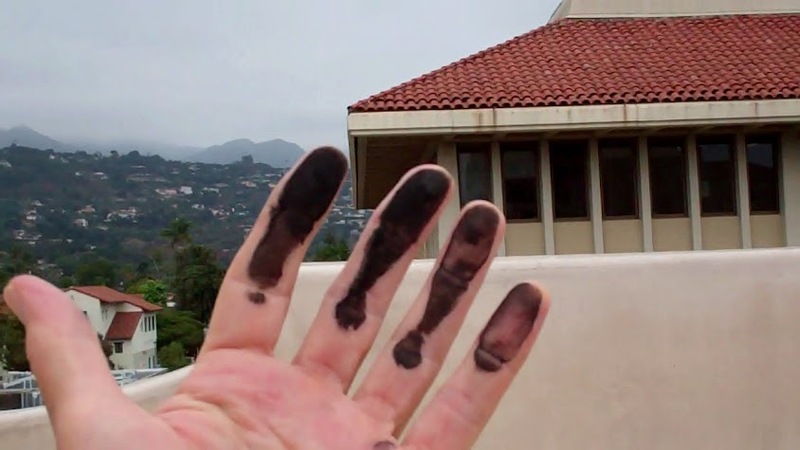 The carbon soot blackened roof of a public school in Santa Barbara, CA. An overhanging Eucalyptus tree provides sticky sap droplets for the black carbon soot to adhere to. 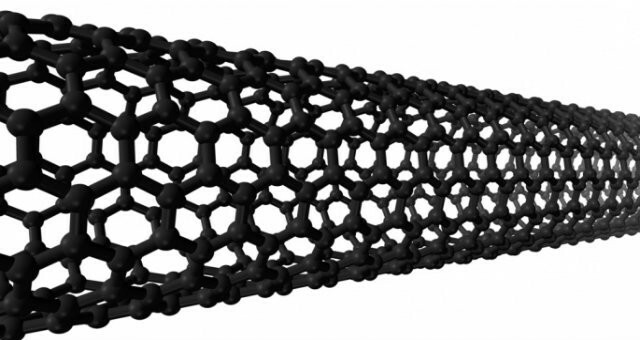 Because nanotubes were found in all of the samples, the study led the researchers to conclude that carbon nanotubes are likely to be found in everybody. Wilson says the carbon nanotubes samples were detected in heavy concentrations in the car tailpipes, but were also found in random swabs of dust in and around the city. – A big, Yes, to that. I was a ‘swabber’ myself – photo evidence was my collaborator. – A swab taken from the exterior metal louvers on intake of a air recycling unit on the top roof level of a City owned and operated parking structure. 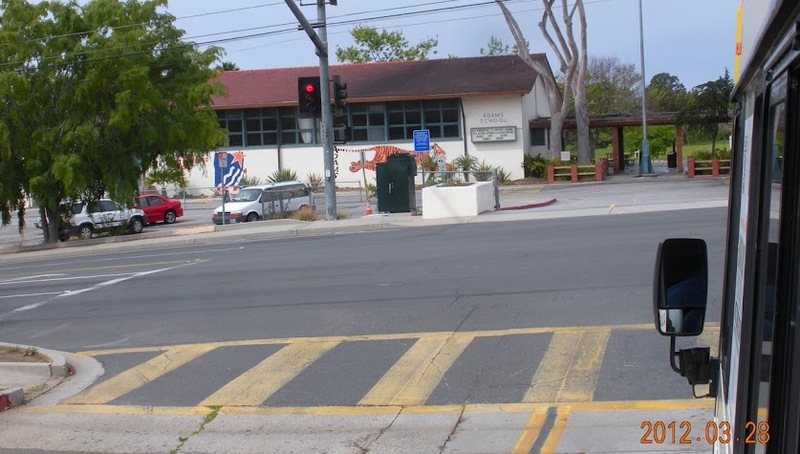 The building in the background is the SB County Administration Bldg. – Once dried and after recirculation — it looked like this on the ground level surface. At 892 millibars, Patricia has shattered the Eastern Pacific basin’s previous record of 902 millibars set by Hurricane Linda in 1997. While a number of typhoons in the western North Pacific have been stronger, Patricia is by far the strongest recorded in the eastern or central North Pacific, where the term “hurricane” applies. Accuweather reporting Patricia is down to 880 mb and that it dropped 100 mb in 24 hours. Just unbelievable. Bombification in the mid latitudes is defined as a 24 mb drop in 24 hours. Talk about too furious for human intervention. Here’s a news report from Central Kalimantan (ground zero of the Indonesian forest fires). The photo you see of the man fishing in a canal has not been put through a camera filter. This is literally what the sky looks like. It is a living hell and the Indonesian government has just revealed plans to evacuate babies and children affected by haze in Sumatra and Kalimantan to ships owned by the Indonesian military or state-owned shipping firm PT Pelayaran Nasional Indonesia. People will put up with incredible adversity. Staggering. See this animation of satellite photos taken from the Himarawi-8 satellite. Look at the huge plumes of smoke from South Sumatra (left of centre) and the vast smoke cloud around Palangkaraya in Central Kalimantan. A sad situation that will get worse. Storms of our grand children have arrived. Hurricane Patricia is at 200 m.p.h…..as it heads for Mexico. Based on the number of acres burned, 2015 is shaping up to be the second most extreme fire year during the past decade in North America’s boreal region. Historically, the area has had one or fewer extreme fire years per decade. For B.C. glacier researcher Matt Beedle, returning to the Castle Creek glacier every year inspires a mixture of excitement and dread. “I’m psyched on coming back to see it change,” he told CBC News on a recent visit to the landmark, high in the Cariboo Mountains east of Prince George. You’ve heard about glaciers melting for years, but what happened last summer across Western Canada is different, because it’s much faster — giving what one researcher calls a “sad window” into our future, where the glaciers are gone. In the past decade, the bluish-white ice of the tongue, or terminus, of the glacier has receded over 200 metres, at a rate of roughly 15 metres a year. This summer though, the melt rate accelerated dramatically to about two and half times that pace, says Brian Menounos, a geography professor and glacier researcher at the University of Northern B.C. in Prince George. – Thanks for this, I was wondering when it make some news. NA hydrology is rapidly degrading from melting glaciers and ice fields. The Fraser, the Thompson, the Columbia, etc. are rivers and waterways in peril. The situation in Indonesia is turning into a massive humanitarian crisis. With the forecasted rains still 5 weeks away, the Indonesian government is implementing increasingly desperate measures to evacuate haze victims. Its plans in Central Kalimantan now call for haze victims to be evacuated to shelters and medical facilities equipped with air purifiers. If that does not work, it will relocate them to the capital city of South Kalimantan. As a last resort, the haze victims will be sent to Navy and commercial vessels stationed off Kalimantan. The Indonesian government’s assets to fight the fires are hopelessly inadequate. 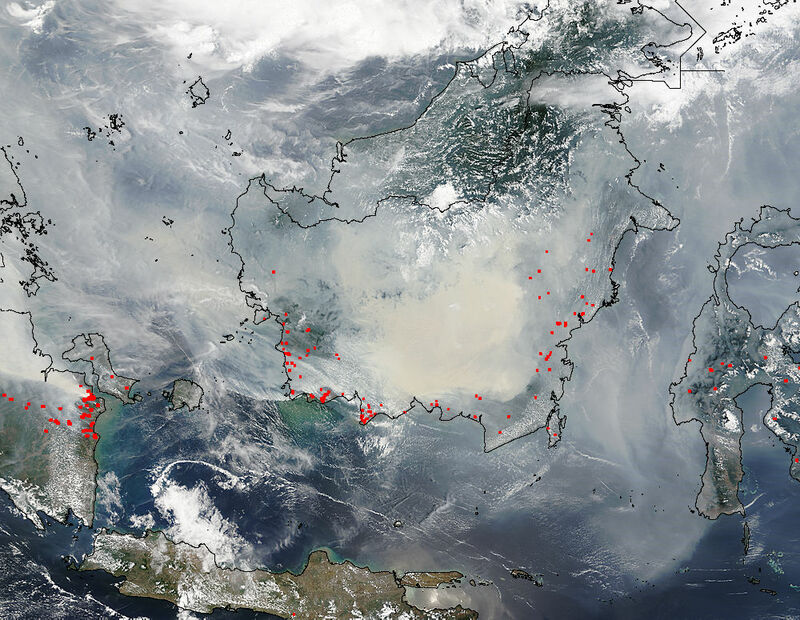 In Central Kalimantan, the area burning is about 3x the size of Singapore. In that whole area, the government has only ONE fire truck. We all know from the experience in California how even with the most advanced fire fighting equipment in the world, it can take weeks to put out wildfires. The Indonesian fires are on peatland. They can smoulder deep underground and travel for miles before flaring into open flames when winds pick up. Only heavy rains can put the fires out. 5 more weeks. 10 people have died and half a million people treated for respiratory ailments, according to Indonesian news reports. How many more will succumb before this man-made disaster is over? No wonder people are calling this a “crime against humanity” and “the greatest environmental crime of the 21st century”.